Home Unlabelled Coaching Carousel 2018: Who Should Replace Coaches on the Hot Seat? Coaching Carousel 2018: Who Should Replace Coaches on the Hot Seat? The college football season is already drawing close to a conclusion in 2018, and there's sure to be plenty of interesting things set to develop. The coaching carousel began its inevitable spinning these past weekends, namely with the firing of David Beaty at Kansas. The Jayhawks will now embark on their fourth head coach since 2009, but they are far from the only program looking for a fresh start. A few other coaching hires could greatly shift the landscape and have major implications down the line. Bobby Petrino was somewhat of a controversial hire for a second stint at Louisville, but he was able to overcome some of the issues with wins. 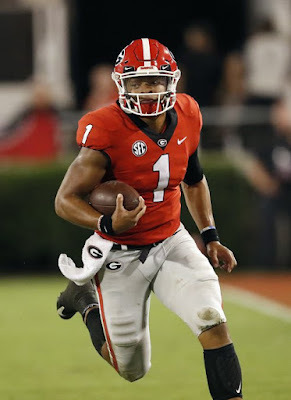 However, Petrino underachieved with Lamar Jackson, with his best season with the Heisman Trophy winner was a 9-4 mark that fell off down the stretch,. Defense has been the biggest issue on Petrino's recent 2-8 team, and it eventually led the Cardinals to move on. This is an interesting job because it certainly is a place you can win, but overcoming Clemson in the ACC Atlantic will be an awfully large test for whoever comes in. Brohm already replaced Petrino once when he took over Western Kentucky after Petrino took the Louisville job in 2014. He is a no-brainer to take over once again, considering he played QB for Louisville in his playing days and was later an assistant. 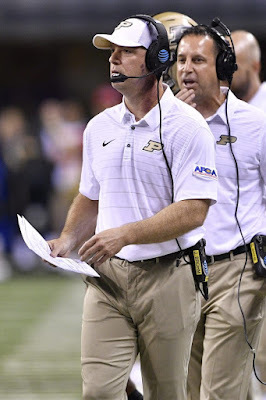 Brohm did just take over Purdue, but he has already proven he can quickly engineer a turnaround. With the talent the Cardinals can recruit, he could win big there. Day has already made a name for himself as a superb offensive mind, and he showed just how good he could be leading the Buckeyes when Urban Meyer was suspended. Ohio State seemed to play better and more aggressively under Day, who has done a great job getting this passing attack churning again. He could be an ideal hire from the area for the Cards. Would Louisville go the Sun Belt to land a rising name in Neal Brown? It isn't unreasonable to rule out, considering what Brown has done with the Trojans. His upset win over LSU on their Homecoming last year was just a preview. He also has strong Southeast ties, which could expand Louisville's recruiting base. Nobody was going to win at Kansas considering what Beaty inherited following the Charlie Weis era. David Beaty had some moments, beating Texas two seasons ago and the team seemed to be making somewhat of an ascent, although 3-6 was still underwhelming. Kansas made the move, and new athletic director Jeff Long (formerly at Arkansas) will not get his own guy at the position. This seems almost crazy imagining Les Miles stalking the sideline in Lawrence, but it just might work. Miles is a big enough name that he would immediately jolt the program, and his energy is something this program might desperately need. He might be slightly out of place away from the confines of the SEC, but he won at Oklahoma State prior to LSU. He is going to be able to recruit from Texas and the South, and get some athletes Jayhawk football has lacked for some time. If I'm long, my first call is actually to Littrell, a superb offensive mind that has done a great job with the Mean Green. Littrell went 5-8 his first year in Denton before a 9-win 2017 and his current edition is once more in the Conference USA Title hunt. Littrell is of the Larry Fedora coaching tree and well his former predecessor might be getting canned himself at North Carolina, Littrell is thriving. His offense seems to be the optimum in today's college football, and he is still a young guy. My first prediction on who would get fired in the Power Five was actually Larry Fedora, and while he nearly won an ACC Title in 2016, it seems time for new blood in Chapel Hill. UNC cratered at 3-9 last season before a 1-8 start to 2018 that has been about as depressing and deflating as you can get. Fedora has done a decent job with his offense, but he has missed the touch of former defensive coordinator Gene Chizik who retired following '16. I think Seth Littrell may be a possibility here, although the Tar Heels could be hesitant to go with a guy so similar to Fedora. For that reason, I think they go elsewhere with this new hire. The American Athletic Conference has become a gold mine for rising head coaches, and the next one up seems to be Fritz, who is at Tulane currently. Fritz runs a triple-option attack with the Green Wave, which he also ran previously at Georgia Southern. 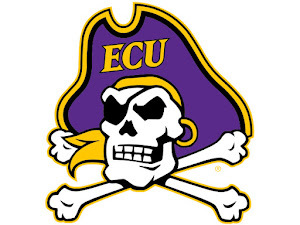 Its different, but we see it in the ACC Coastal right now (Georgia Tech) and with better athletes, Fritz may adjust accordingly. Either way, its a complete culture change with Fritz, who could be the new blood necessary to make this team stand out in college basketball country. He doesn't get the attention of Dabo Swinney, but I think defensive coordinator Brent Venables has been just as crucial in Clemson's rise to power program. He has consistently had to replace NFL departures and the Tigers don't miss a beat, which hasn't changed in 2018. While the game may be moving more up-tempo and even more fast-paced Venables has adjusted, and he could be a much different look than a Fedora guy. Moving inside the conference could be interesting for Venables, but this job has significant upside. Winning in the Big Ten East is going to be difficult no matter who the head coach is at Rutgers, but Chris Ash just simply hasn't gotten the job done. After a dismal debut season there seemed to be some progress in 2017, as the Scarlet Knights went 4-8 and actually won a few conference games. That hasn't materialized into anything this season, as Rutgers sits at 1-9 and 0-7 in the Big Ten. To make matters worse, the Scarlet Knights were blown out by Kansas in the non-conference, a team that has been the laughing stock of Power Five football for nearly a decade. Ash is a fine defensive coordinator, but he just hasn't shown the progress necessary to ensure a fourth year in Piscataway, New Jersey. I imagine Rutgers staying in the Northeast with this hire, and there isn't a whole lot of names in the region bigger than Lance Leipold. Leipold has won everywhere he has gone, including his recent turnaround at Buffalo, who is currently 9-1 and ready to win a MAC Title. Prior to that, Leipold led one of the top programs in Division III football at Wisconsin-Whitewater, where he managed more National Titles than losses in eight years. This seems like a very logical step up for the rising head coach. In my opinion, Jeff Monken may be the one of the most underrated head coaches in FBS football. He does run a triple-option offense, but there is no denying how well it has worked in previous stops at Georgia Southern and now at Army. Georgia Southern went to three straight FCS Playoff semifinals under his guidance, and after some turbulent early times, Army is going to have their third straight season of eight or more victories. Much like Willie Fritz, it'll be interesting to see whether Monken adjusts his offense if he were to get a promotion, but the triple-option in the Big Ten East? Its so crazy it may just work out. Since moving to the Pac-12, Colorado has struggled to return to the heights they once were at in the old Big 12. With the exception of a magical 2016 year where they won the Pac-12 South and were in the Playoff hunt for much of the season, the Buffaloes have consistently finished near the bottom of the standings. That has been the case once again in 2018, as a 5-0 start has given way to five consecutive losses that have CU sitting at sixth in the division. If that holds, it'll ensure Colorado has finished last in the division five out of MacIntyre's six seasons in Boulder. MacIntyre inherited a tough rebuild, but that just isn't going to cut it. Rocky Long has built one of the Group of Five's most consistent programs in San Diego State, who is set to make their eighth straight bowl appearance. Long has also won three Mountain West Titles with the Aztecs and produced a solid crop of NFL talent, showing an amazing ability to recruit a competitive region and develop the young talent there. He has been at SDSU for some time so a jump to the Pac-12 might not even be on his radar, but he'd be a superb hire for Colorado. It might not be the flashy hire some Buffs' fans would yearn for, but I think Long would win big in Boulder. Grinch just got a promotion this past off-season, jumping from Washington State defensive coordinator to the same spot at Ohio State, and I think a head coaching gig may soon be in the cards. Grinch did a superb job with Washington State, and his innovative defensive schemes have earned them the utmost respect in the sport. He doesn't have Pac-12 roots beyond the WSU years, but he has proven he can defend the league, and I think he'll be able to recruit. This could be an out-of-the-box, successful hire Colorado desperately needs.